People have been grooming their pets in some way for centuries. Sometimes it’s successful and sometimes… not so much! We all love to spoil and groom our dogs (and cats) to make them happy and more beautiful. In fact, on average, we spend more time and money on our pets’ food and their pampering than we do on our own. Most pet owners go above and beyond for their pets because they are “family” and we know how good it makes them (and us!) feel when they are clean and smelling their best. However, not every dog or cat is lucky enough to have a “Mommy or Daddy” to make sure that their furry BFF is well-groomed, well-fed and has a cozy, warm bed in a loving home for life. There are millions of homeless dogs and cats that suffer everyday and have to brave the elements of the freezing Winter cold or the scorching Summer heat without shelter, water or food. The “lucky ones” are picked up by animal angels and brought to the animal shelters where their mission is to protect and feed them until they find their FURever homes or loving foster families. The shelter staff is often overworked and overwhelmed by the intake turnover compared to the adoption and foster ratio. They work tirelessly to keep these animals alive and well cared for with the limited resources that they are given. Taking into consideration these limited resources and operating funds, some animals aren’t able to receive the grooming they need to look and feel their very best when adoption day comes and potential pet-parents and their families come to pay a visit. This is where the kindness of animal-loving volunteers has to take center stage. Enter Hollywood Rescue Grooming Foundation and their magical Fur Faerie mobile pet grooming partners. Together they make sure that each shelter dog and cat can make a lasting, loving impression on those families looking for a cuddly friend or new furry BFF to take home. Complete with Blueberry Facials, PAWdicures, soothing baths, ear cleaning, tooth brushing, adorable haircuts and even a little extra “bling” such as a snazzy bow tie or bandanna for Fido or a frilly hair bow for Fifi, these lucky dogs and cats can feel HOPE for the very first time and SHINE from the inside out! Hollywood Rescue Grooming Foundation provides, what can only be called, life-saving grooming services for shelter dogs and cats. Period. A shelter dog who looks and feels it’s best stands a much greater chance of finding a FURever home. It’s that simple. The lives of these animals are forever changed for the better by making them feel accepted, understood, loved and by restoring their dignity and self-respect. 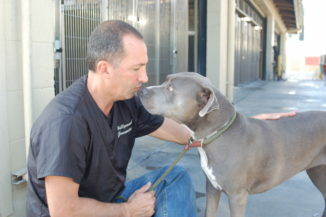 Hollywood Rescue Grooming Foundation is a non-profit (503)c organization based in the Los Angeles, CA. Together with their rapidly growing village of partnering mobile groomers visit animal shelters around the country to offer grooming services for the shelter dogs and cats. ONLY through community support and generous donations to help offset the costs of supplies, travel, van maintenance, insurance and other vital resources needed to provide this free grooming service for shelter animals does this miracle happen. How Much Does The Grooming Cost Per Session? It is estimated that for each visit that Hollywood Rescue Grooming Foundation makes to an animal shelter the overall cost is approximately $2,000.00 with a count of 49 animals groomed on average (including dogs and cats as well). The Mission is to travel to every animal shelter that needs this life-saving grooming service across the country until all the cages are emptied! HELP US GET THE WOOF OUT AND PAW IT FORWARD!